When most of us think of identity theft, the first thing we think of is our credit cards. Those who have gone through having their credit cards compromised believe that they are a victim of identity theft. Though credit card fraud is a type of identity theft, it is actually not the most damaging type of theft. This type of fraud is called “account takeover,” among security experts, and it occurs when a criminal takes over an account that already exists. If a person has their credit card account compromised, they should report any known loss to the bank as soon as possible, usually within 60 days of the incident. This allows the lost funds to be returned to the account. Generally, this is done within hours to days. The type of identity theft that is the most damaging to the victim is when a criminal opens a new account in the name of the victim. This type of identity theft is appropriately called “new account fraud”. These accounts are not only linked to the victim’s Social Security number; it is also linked to the victim’s credit history. Since we live in a credit-driven world, we are judged by employers, creditors, and insurers based solely on this history. These victims might be looked upon with negativity, and they could be denied insurance, employment, and credit, even though it was not actually them who created the issue. We must all realize that identity theft doesn’t necessarily only happen to individuals, it can also happen to people in groups. Banks, retailers, credit card companies, financial advisors, hospitals, insurance companies, and retailers have all been affected by fraud and identity theft. For some of these organizations, it is simply a nuisance to deal with this, and for others, it is just the reality of their business. Most of these organizations have several layers of security, but they all are targets with its own set of issues to deal with. At the same time, however, each organization copes with the same constant: their customer is the most valuable part of their success. Most people attract scammers to them whether they realize it or not. They might be opening up the door to becoming a victim of a phishing email or to a spoofed website. They also might fail to update or protect their computers, they might not protect their wireless connections, or may not do things such as shredding important documents or keeping too much in their wallets. Fraud will flourish because people generally overlook the security of themselves. There are certainly consequences for the victims of these crimes, and the story of Larry Smith is one that we should all know and understand. About 17 years ago, 50-year-old Larry Smith became the victim of an identity thief named Joseph Kidd. While using the name Larry Smith, Kidd was arrested. He was sent to prison, paroled, and then gathered benefits such as Medicare and welfare, all while using the name Larry Smith. He also got married as Larry Smith. Meanwhile, from afar, the real Larry Smith was dealing with Kidd’s actions. He had to spend eight days in jail due to the crimes of Kidd, and had liens placed on his home, lost his driver’s license, and was even denied medical care…all because he was the victim of identity theft. Some people wonder, “Why would someone want to steal my identity? I don’t have any money.” But, Larry Smith didn’t have money. Someone might think, “I have bad credit. No one would want my identity.” Again, Larry Smith was in this situation. People might also think, “I don’t use credit cards, I don’t have a computer. Surely, no one will want my identity.” Think of Larry Smith. This is how easy it is for someone’s life to be ruined. It goes beyond a hacked computer or a credit card being compromised. The events of Larry Smith are an example of true identity theft. What Exactly Is Financial Identity Theft? Identity theft happens when one person uses information, such as Social Security number, of another person to engage in unlawful activities, such as fraud. An identity thief, for instance, might open a new credit card up in someone else’s name. When this thief doesn’t pay the bills after going on a shopping spree, the debt is eventually reported on the credit report of the victim. These thieves may also try to take over an existing credit card account and start making charges on it. Generally, these thieves will do things such as contacting the credit card company to change the billing address on their account to avoid detection by the victim. They might also take out loans in the name of another person or write checks using someone else’s name and account number. They might also use this information to access and transfer money from a bank account, or might even completely take over a victim’s identity. In this case, they might open a bank account, buy a car, get credit cards, buy a home, or even find work…all by using someone else’s identity. Almost always, identity theft involves a financial institution, whether it is a bank, lender, or credit card company. Why? Because this is where the money is, and this is where they know they can get money with almost no effort. There are a number of methods that thieves use to access this information, and not all of it is high-tech. Instead, many thieves use “low-tech” methods, such as going through the trash or intercepting a new check order. Sometimes, these thieves will attempt to trick their victims to gain the information. One way they do this is by calling banks and posing as the victim, or they might actually contact the victims, themselves. These thieves also take advantage of situations. For instance, when the year changed from 1999 to 2000, there were many fears about Y2K computer bugs. In this case, these hackers called potential victims and pretended they were from the bank. They told the victim that they needed information about their account to ensure that they will not have to worry about the change in the year. There are, of course, more sophisticated methods of obtaining financial information for the purpose of identity theft. For example, some thieves use a method known as “skimming.” In this case, they will install a small camera or scanning device around credit card readers or ATMs. When the victim swipes their cards, such as when getting gas at the gas station, the device reads the card and stores the information. Once the thief has access to this information, they can re-encode this information on a cloned dummy card with embossed foils and logos, which looks remarkably like a credit card, and it can be used just like a credit card. So, the thief doesn’t need to have the actual card of the victim, he or she only needs the information. 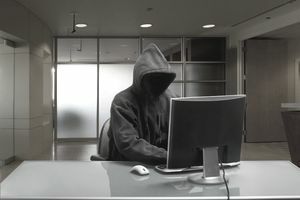 For those who become victims of identity theft, the costs are large and the headaches last for months, and in some cases, years, following the incident. These thieves can run up tens of thousands of dollars of debt for their victim, and though the victim might not be responsible for the debt, there are still considerable consequences. For instance, the victim’s credit history is usually negatively affected, and they must spend many hours, days, months, and years contesting bills and information. Plus, while the victim is trying to deal with the aftermath, they might be denied for mortgages, loans, and even employment. A bad mark on a credit report can even prevent a person from opening a bank account, which is extremely important to open when their other accounts are compromised. Even after the initial bills are taken care of, new charges and accusations could appear at any time over the next few months, and even years. Though there are no comprehensive statistics about how common identity theft is, the data that we do have access to shows that it has been on the increase over the past few years. Financial identity theft is actually not a type of identity theft; rather, it is an outcome of the identity theft. It occurs after a person’s personal information, or identity, has already been compromised. As soon as a thief has access to a Social Security number, birth date, name, phone number, address, bank account number, PIN, password, debit, or credit card, they can use the information to open a new account or take over accounts that already exist. We also have to be on alert for affinity fraud. The SEC defines this type of fraud as a type of investment scam that preys upon members of a certain group, such as those in a specific ethnic or cultural community, a professional group, or even the elderly. The criminals that use affinity scams are often members of these groups, or they at least pretend to be. They often will get close to the leaders of these groups, and use them to tell other members of the group about the scheme. For instance, it might be a fake investment opportunity, and the criminal will make this investment seem like it is totally worthwhile and legitimate. The leaders will then tell other members of the group about this investment, and before you know it, they are all buying into it. These scams take the friendship and trust that has developed in these groups, and totally exploit it. Since this is likely a tight-knit group, it can be very difficult for law enforcement or regulators to know that the scam is going on. On top of this, the victims also hesitate to notify the authorities when becoming the victim, and instead try to work things out among themselves. Many of these scams involve pyramid schemes, or “Ponzi” schemes, where a new investor will pay into the “pot,” and this money is used to pay off earlier investors. This gives the illusion that the investment is paying off. This is used to show new investors that they can believe in the investment, and that is a secure and safe way to invest their money. The reality, however, is that the criminal almost always will steal this money for their personal use. This type of scam is entirely dependent on having an endless supply of new investors, however, and when this supply dries up, the entire scheme will collapse…and the people who have invested into the scheme finds that most, if not all, of their money is gone.